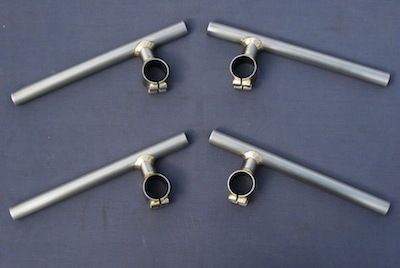 Swing arms are available in several styles, in various lengths, widths and wheel spindle sizes. 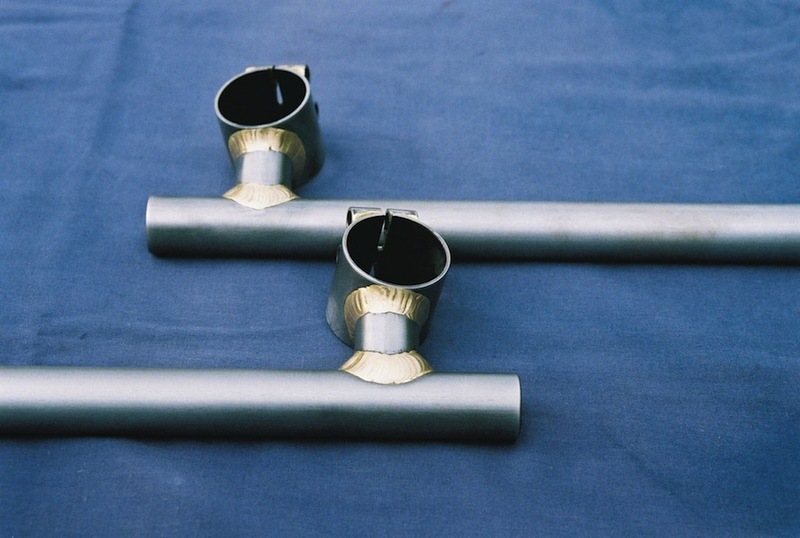 Cross tubes are 1½ diameter and are compatible with the Mojo swing arm bush kit. 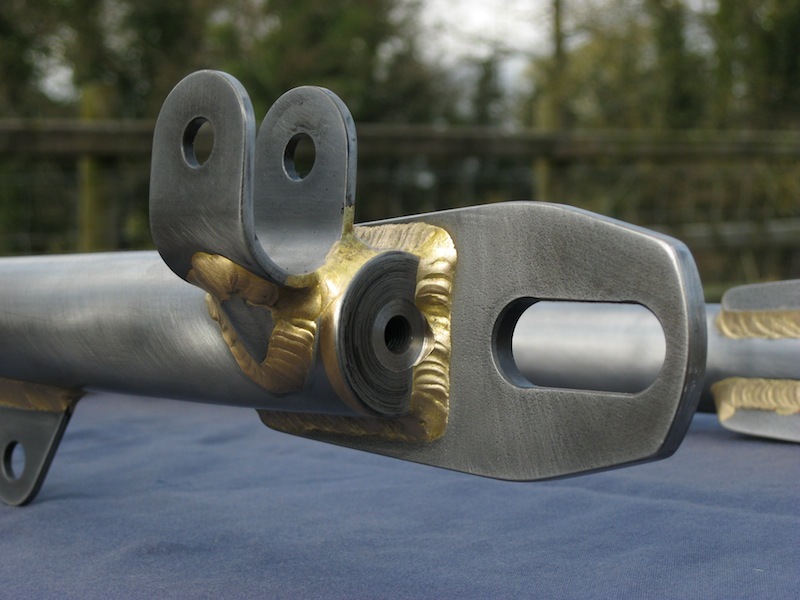 Swinging arm bushes consist of stainless steel sleeves running in nylatron bushes with a seamless steel spacer tube. 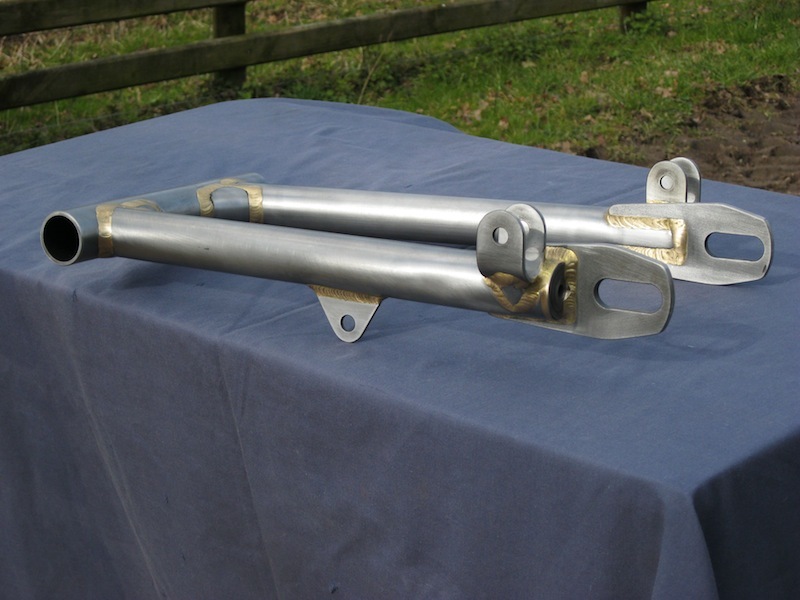 The bushes should be fitted after the swing arm has been plated or painted, as high temperatures or corrosive chemicals may have an adverse effect on the bearing material. The bushes will require line reaming after fitting. 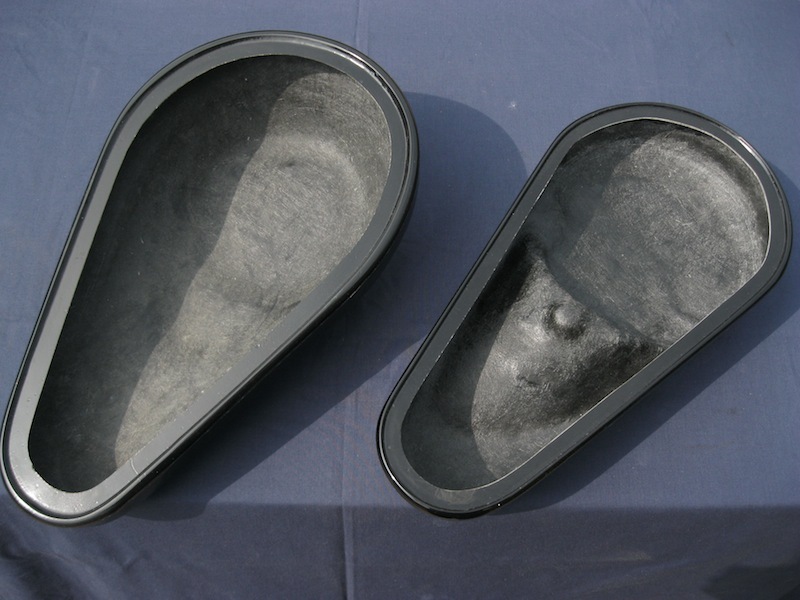 Fitting and reaming of the bushes is included in the frame kit, or can be done by any competent engineering shop. 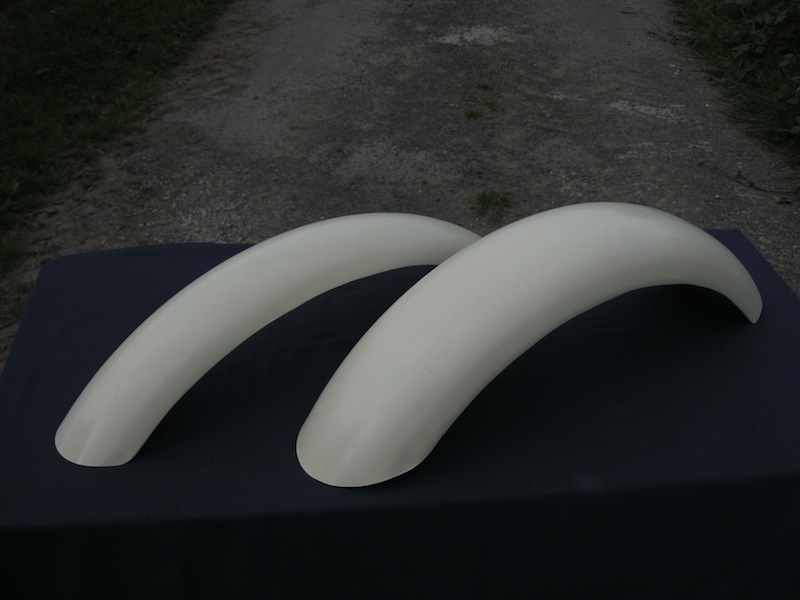 These bushes may also be fitted to any swing arm with a 1¼ bore. 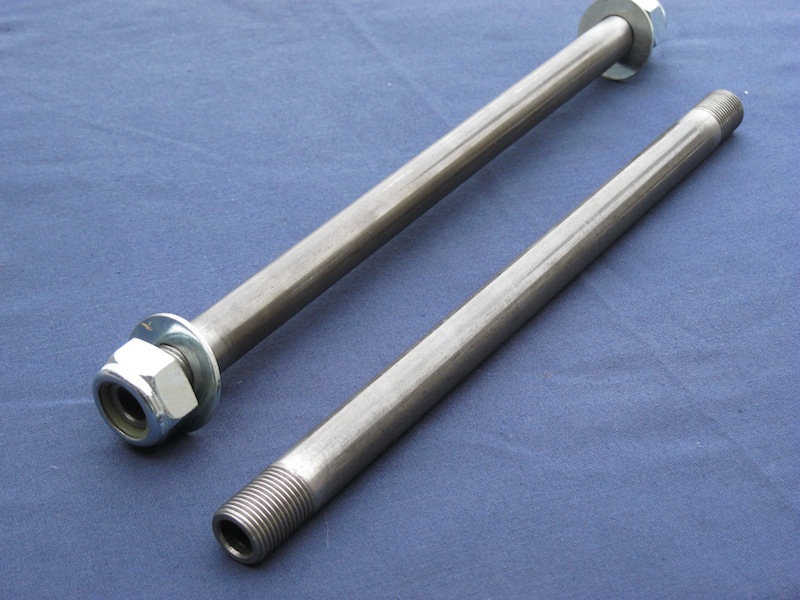 Stainless swing arm spindles are made of stainless steel rod with 5/8 unf threads and come with zinc-plated nyloc nuts. 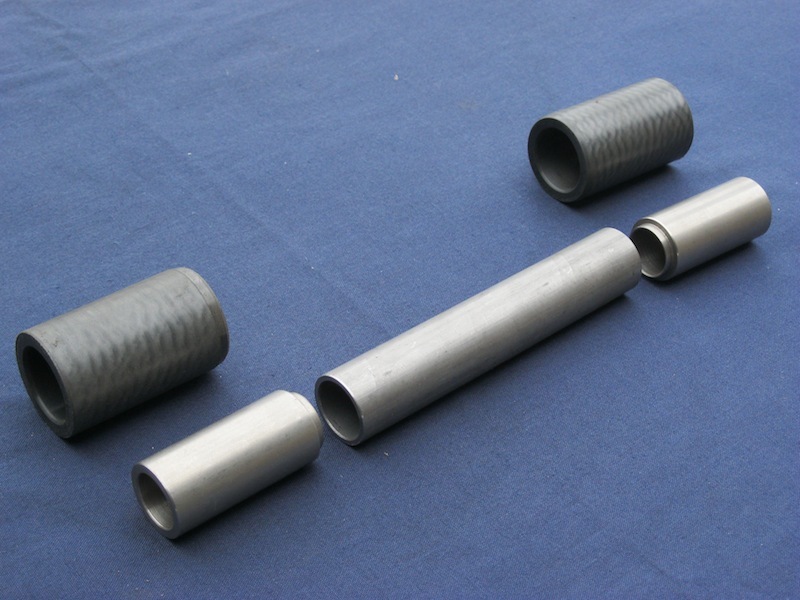 Hollow chrome-moly swing arm spindles are a direct replacement for the stainless steel item, are made from 5/8 (15.9mm) diameter tube only, and are supplied in self-colour only, and will require zinc plating. 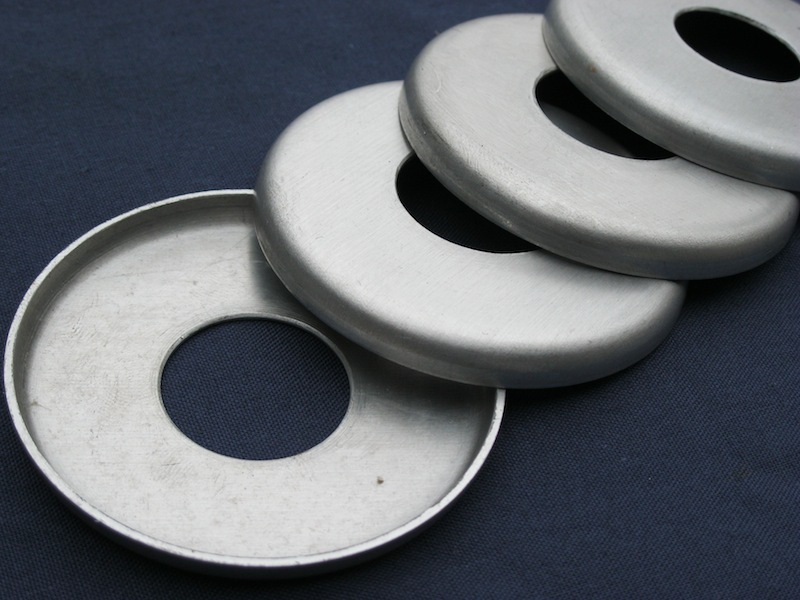 Made with a stronger type of steel , they are approximately 40% lighter than the solid item. Bearing dust covers to fit over the top headstock bearing are made from pressed aluminium with a 7/8 (22.2mm) bore. They are easily bored to size on a lathe or can be sized to order for a small charge. 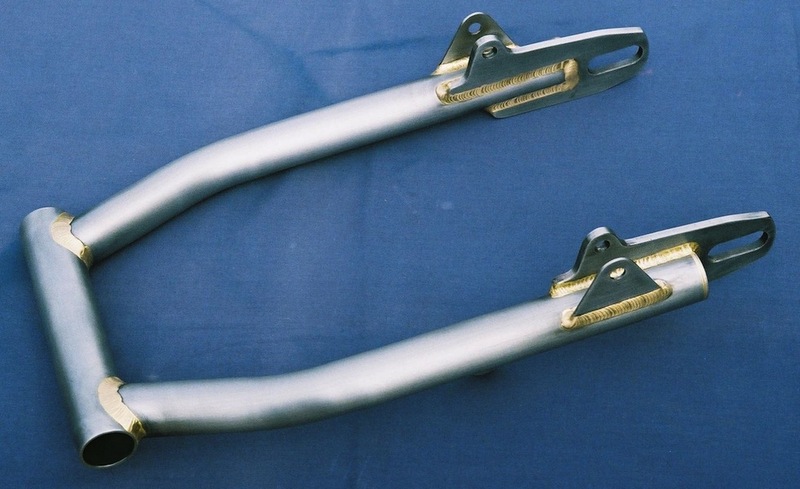 Clip ons can be made from mild steel or thin wall chrome moly tubing, with offset, as shown, if required. Standard sizes are 35, 38 and 41mm, with a 10° drop. 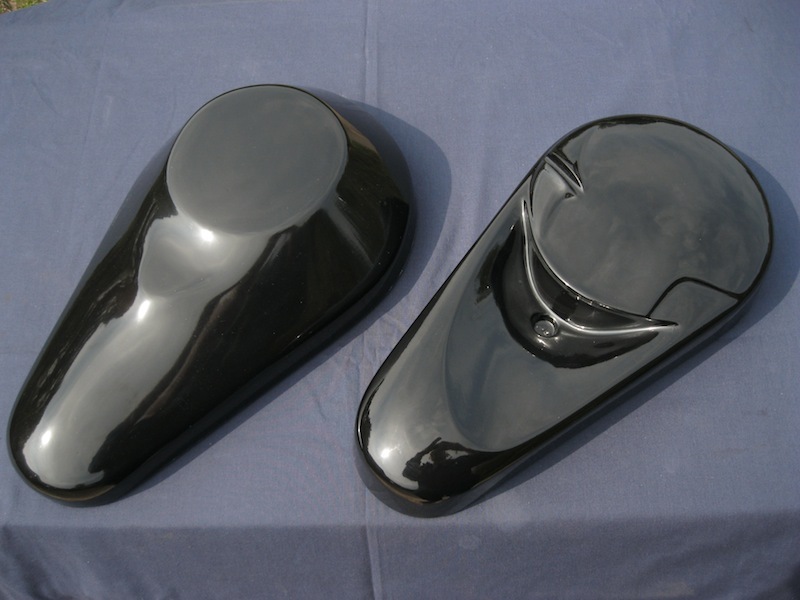 Mudguards fibre-glass copies of aluminium guards. High level front suits a 21 wheel; the rear suits an 18 wheel. Primary covers originally developed for the Harris frame, but may be fitted to other frames that have the engine and gearbox close together, such as the Rickman Metisse. Two types are available - the left hand one (in both photographs) is for a chain drive primary, while the right hand one (again in both photographs) is for a belt drive set-up. An aluminium back-plate is available (not shown) which will allow a single bolt fixing for the cover. 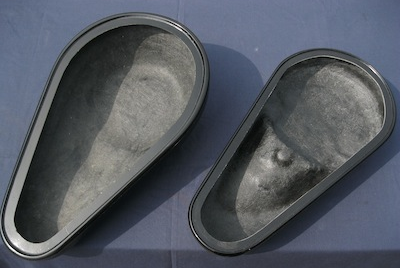 These covers are suitable for dry clutches only.